Are you in? If yes, I bet you have your twitter account! Sharing your thoughts and views has been made easy because of this medium. Keeping your twitter timeline alive and updated is really a matter when you want to be in line. Every twitter peep wants to have a lot of favorites and retweets or even direct messages. This will help them gain more followers and be hip. And we guess you want to be hip! You want to know the secret? The secret is within your amazing, remarkable and extraordinary 140 character lines on your timeline! Our site will make it easy for you. We are happy to share our quotable quotes and speech marks with you. Our goal is to keep your account colorful and enjoyable to read with. You can also share your thought with us, and everybody in the group. 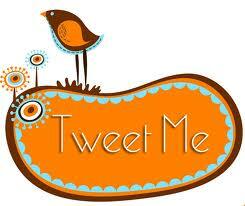 Come and tweet me!